A New York Times cookbook best-seller. 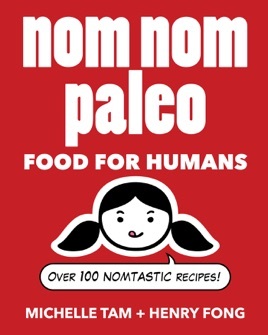 Nom Nom Paleo is a visual feast, crackling with humor and packed with stunningly photographed step-by-step recipes free of gluten, soy, and added sugar. 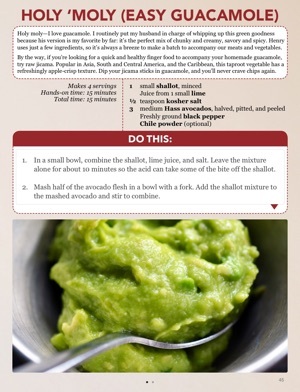 Designed to inspire the whole family to chow down on healthy, home-cooked meals, this cookbook compiles over 100 foolproof paleo recipes that demonstrate how fun and flavorful cooking with wholesome ingredients can be. And did we mention the cartoons? 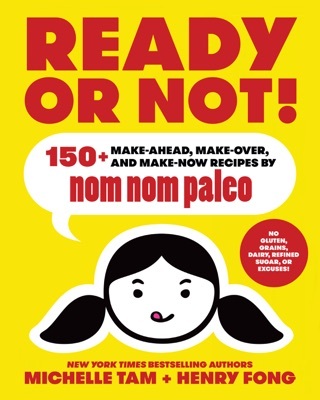 Nom Nom Paleo kicks off with a fresh introduction to Paleo eating, taking readers on a guided tour of author Michelle Tam's real-food strategies for stocking the kitchen, saving time, and maximizing flavors while maintaining a Paleo lifestyle. Also, sprinkled throughout the book are enlightening features on feeding kids, packing nutritious lunches, boosting umami, and much more. 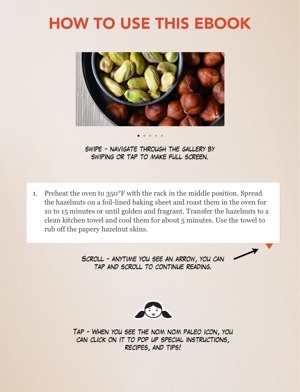 But the heart of this book are Michelle's award-winning primal Paleo recipes, 50 percent of which are brand-new --- even to diehard fans who own her bestselling iPad cookbook app. 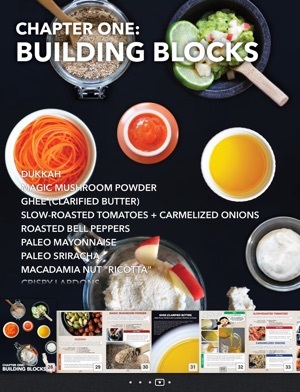 Readers can start by marrying their favorite ingredients with building blocks like Sriracha Mayonnaise, Louisiana Remoulade, and the infamous Magic Mushroom Powder. These basic recipes lay the foundation for many of the fabulous delights in the rest of the book including Eggplant "Ricotta" Stacks, Crab Louie, and Devils on Horseback. There's something for everyone in this cookbook, from small bites like Apple Chips and Kabalagala (Ugandan plantain fritters) to family-sized platters of Coconut Pineapple "Rice" and Siu Yoke (crispy roast pork belly). Crave exotic spices? You won't be able to resist the fragrant aromas of Fast Pho or Mulligatawny Soup. In the mood for down-home comforts? Make some Yankee Pot Roast or Chicken Nuggets drizzled with Lemon Honey Sauce. When a quick weeknight meal is in order, Nom Nom Paleo can show you how to make Crispy Smashed Chicken or Whole-Roasted Branzini in less than 30 minutes. And for a cold treat on a hot day, nothing beats Paleo-diet-friendly Mocha Popsicles or a two-minute Strawberry Banana Ice Cream. Eating healthy doesn't mean sacrificing flavor. This book gives you "Paleo with personality," and will make you excited to play in the kitchen again. intuitive design, a pleasure to navigate! Thanks for your work with the paleo community. Love listening to the kids on the Podcast the last 6months. 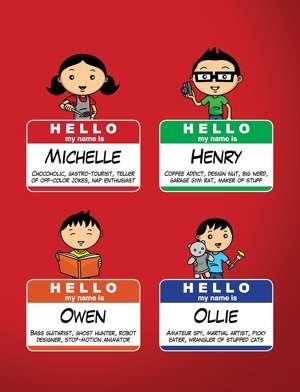 They add cuteness and break up the talk about ingredients and umami. 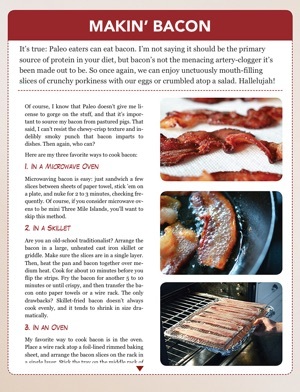 I am new to the paleo community and have gleaned useful info from you and your husband. I heard of you from Mark Sisson and the whole30 folks last year. Thanks for including things paleo your kids eat because that helps me pick things my kids would eat. I would love to visit Vietnam and take that last trip with you! Sounds so great! I will keep listening to you and thanks again!